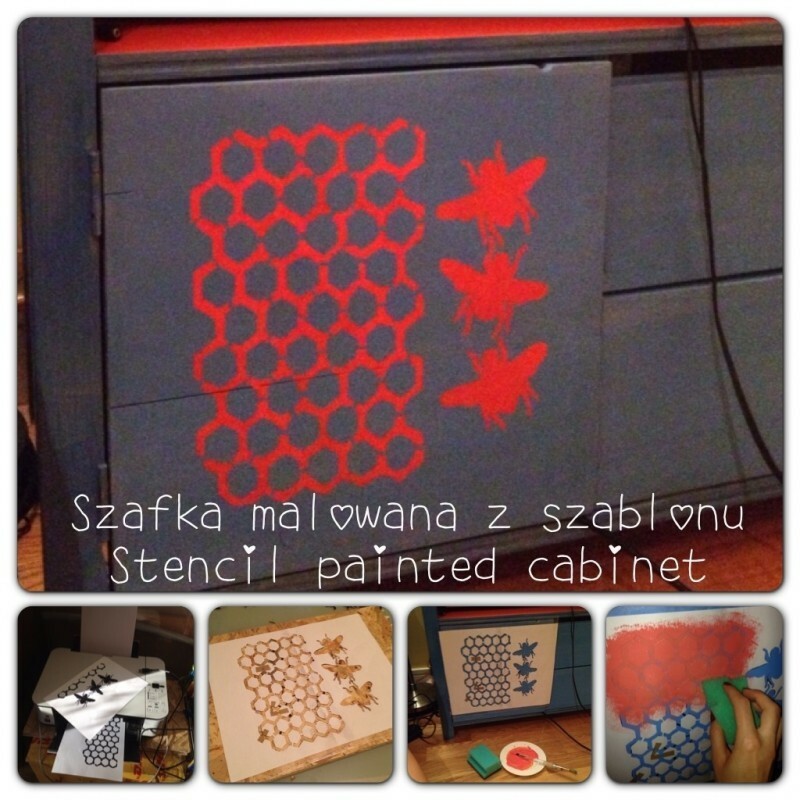 Yesterday I eventually found some time to finish this stencil and use it to paint our multimedia cabinet. You can find the instructions on each of the images. 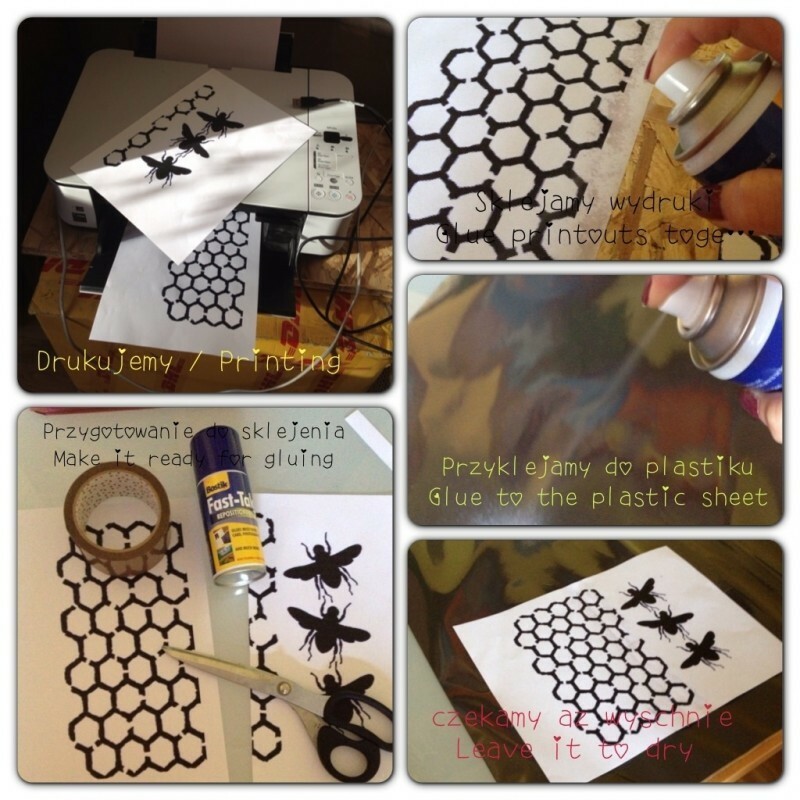 They picture pretty much every step of stencil making and stencil painting process. In case you have difficulties to read (I know some of the inserts are not clearly visible) I m explaining the steps under the photos. 3. Cut the design out of your stencil. We are cutting only the parts that you want the paint to go through. Make sure to live the bridges that hold the inner parts of your pattern. Use some sharp blade or scalpel. Be precise. If you cut to far, you can always fix it with cello -tape. Depending on the complexity of your project, this could be the most time consuming part of the stencil making project. 4. 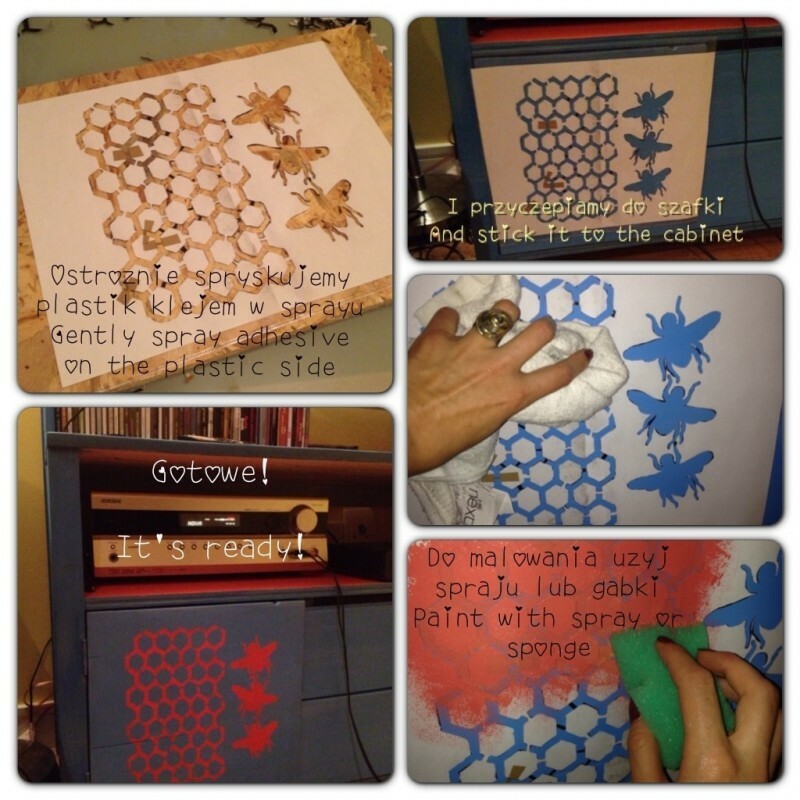 Once all the parts are cut out, gently spry the stencil (plastic side) with spry adhesive. We need only a small amount of adhesive to have the stencil stick to the painted surface temporarily. 5. We are now ready to start painting. Apply the paint with spray, sponge or brush. Leave it to dry a little bit and remove the stencil. 6. 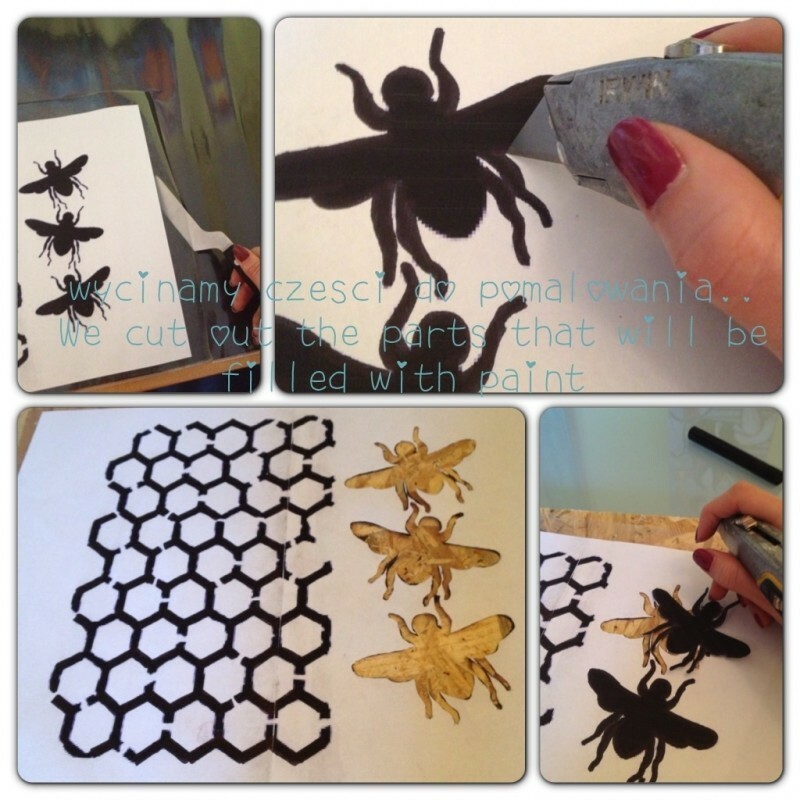 Leave your stencil to dry. In case you want to use it in the future, store it flat. Check out my Etsy shop for the current offerings. I might have some stencil art there.